Villa Arena is a modern house offering seclusion and stunning sea views, as it located in panoramic position of Agrari Bay. 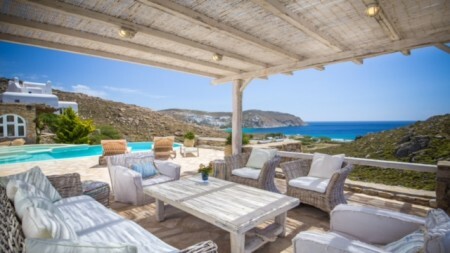 Villa Dream, 600m2 villa, is built on a large gated property of 10.000m2 with an uninterrupted view to Agrari Beach one of the nicest beaches of Mykonos. 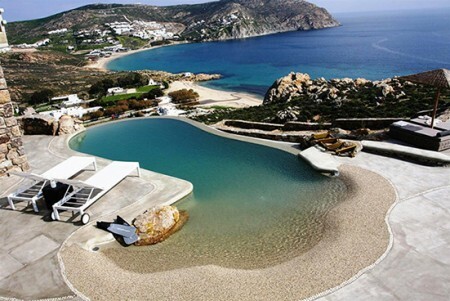 Villa Melanie is located at Agrari Bay an offers panoramic sea views which overlook both Agrari and Elia Bays. 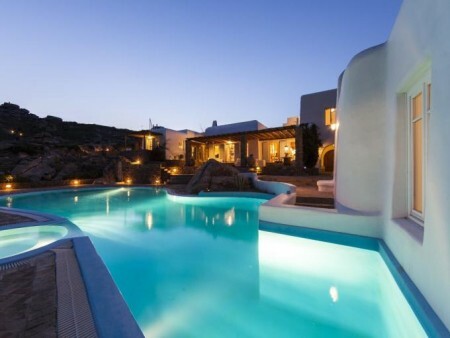 Villa Olympia a 450 m2 villa, located in the area of Agrari is ideal for people who seek tranquility and solitude. Villa Roca is a modern house offering seclusion and stunning sea views, as it is lacated in panoramic position of Agrari Bay.